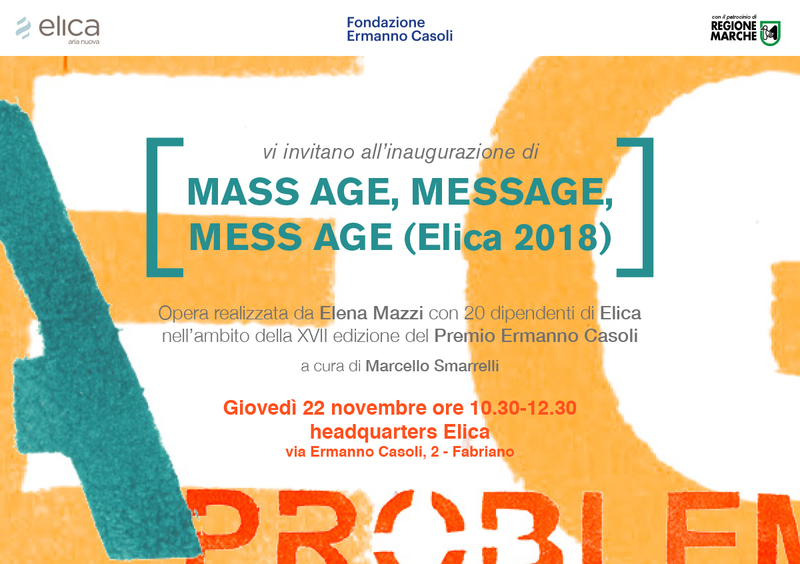 On Thursday 22nd November 2018 from 10:30 am to 12:30 pm, the artwork Mass age, message, mess age (Elica 2018), produced by artist Elena Mazzi for the 17th edition of the Ermanno Casoli Prize, one of the most important Italian prizes in the field of contemporary art, will be inaugurated in the Fabriano headquarters of Elica. The workshop that was held in Fabriano last June saw Diego Agostini (a trainer specialised in management training from the company Commitment) work with 20 Elica employees, who had been asked by the artist to select words taken from everyday management jargon. The aim was to draft a glossary to be used in a specifically modified version of the game of Chinese whispers, thereby providing a practical example of the interruptions and distractions that can occur when a message is to be transmitted from a sender to a recipient. The participants created devices aimed at facilitating or encouraging verbal communication by assembling original, albeit functional objects with materials typical of the production of Elica. The objects and words were used to produce an environmental installation entitled Mass age, message, mess age (Elica 2018), a sculpture composed of two cast aluminium elements, namely the sum of the ten communication devices produced during the training activity, and a wall painting containing the words selected and “played with” during the game of Chinese whispers.